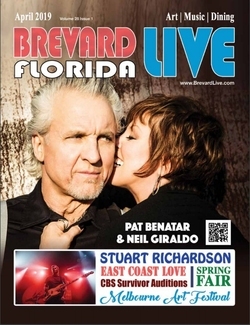 Pat Benatar’s staggering vocals and take-no-prisoners attitude, along with Neil Giraldo’s trailblazing artistry as a guitarist, producer, and songwriter forged the undeniable chemistry and unique sound that created some of rock’s most memorable hits. It’s a mere co-incidence that the 7th annual festival would fall on 4-20, but that’s just fine with producer Billy Bones. Enjoy the sounds of Reggae, Ska, Surf, and original beach vibes! Stuart Richardson is a rockstar. Although he’s been in Brevard for just a few years, he plans on putting down his roots and enriching the music scene here one band at a time. Gregg Young is opening up the Pinball Palace featuring arcade video games that he collected since the 80s. It’s a reunion with Gameboys, Starwars, Nintendo, Super Nintendo, Atari 2600, Turbo Machine Racetracks, MTV videos and memorabilia like Alf, the Smurfs, etc. Come over to Port Canaveral for an open casting call for the CBS hit reality show Survivor on Sunday, April 28th from 10am to 2pm in the Victory Casino Terminal.